Every SEO strategy should be different. A variety of factors will impact on the right strategy for your site, including how it’s currently performing and what is required in the short and long term to build on and enhance performance. Key to this is a full understanding of your business objectives. Our consultants will work closely with you from the outset to get under the skin of your business and really define your objectives. 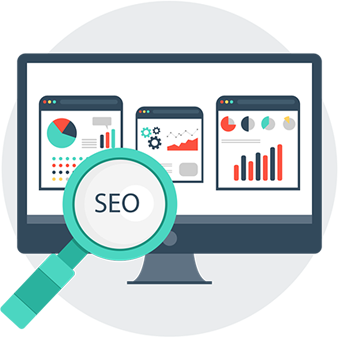 Our technical, on-page, off-page and local SEO audit documents are some of the most comprehensive and thorough reviews in the industry that really get to grips with the key issues that might be holding back your organic search visibility. It doesn't just stop there, we don't just scan your website site and identify key areas for improvement, we closely work with you and your developers to implement the recommendations the technical documents put forward. We first want to make sure your site performs as strongly as possible in the search engine results pages. All our pages are designed to perform for both the user and the search engine. We’ll detail the best URL structure, ensure fast loading speeds and design all pages across the platform mix. The optimisation of your web pages will not only impact your traffic by assisting with your rankings, it will increase relevancy for the user. We also extend the optimisation to blogs and content promotion to help your site become a customer-focused destination. The content we create will fuel the performance of your site. Whether your goal is to become a powerful publisher, build CTA driven landing pages that convert every time, or connect with authoritative publishers, it’s key that we implement the right content strategy from the beginning. We’ll evaluate your customer, target audience and business objectives before providing you with market leading content promoted through the right mix of social media and digital PR. Each campaign we plan will be the right content for your customers, on the right channels, at the right time.